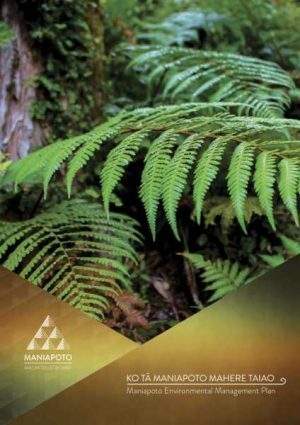 Na ngā kaumātua o Maniapoto. By the elders of Maniapoto. The Waipā River is the largest tributary that feeds the Waikato River, by restoring the health and wellbeing of the Waipā River, it will help to restore the health and wellbeing of the Waikato River. With support and approved funding from the Waikato River Authority, the Maniapoto Māori Trust Board (MMTB) was able to update and create their current Environmental & Upper Waipā River Fishery Management Plans. Waiwaia is seen by the Maniapoto people as the spiritual guardian of the Waipā River. Both plans ensure that Maniapoto have an up to date and relevant iwi wide strategy. These strategies express Maniapoto’s perspectives, values and aspirations. They help to enhance and sustain the exercise of kaitiakitanga (guardianship) of the natural environment and its species within the Maniapoto rohe as well as upholding the mana tuku iho of Waiwaia. The plans are recognised as statutory legislation which provides for co-management and co-governance to help contribute to achieve the “Nga Wai o Maniapoto (Waipā River) Act 2012” and are recognised as the iwi authority documents for MMTB in respect to the “Resource Management Act 1991”. 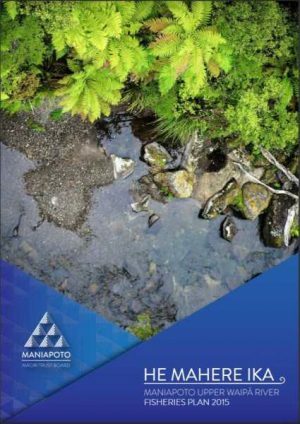 They are simply tools for users of the natural environment to work collaboratively with central government and local authority management plans to help restore and maintain the health and wellbeing of the Waipā River and its surroundings within the Maniapoto rohe. Gannin Ormsby a MMTB representative says both the Maniapoto Environmental & Fisheries Management Plans are major planning tools and have been used when working with local authorities and central government on environmental issues for Maniapoto. He says these plans are stepping stones in an ambition to achieve a “Upper Waipa River Integrated Management Plan” (UWRIMP) which will incorporate Maniapoto's overarching purpose for the Waipā River Catchment and give effect to the Vision and Strategy for the Waikato River. The UWRIMP will be a collaborative plan between the tribe, local and central government agencies that will enable and empower Maniapoto customary activities. The future for both plans are to continue to promote and update, to preserve and restore the Waipā River for future generations.